If you have already been hurt on the job, your attempt to file a California workers’ compensation claim is limited. It’s imperative that you seek out a San Francisco workers’ compensation attorney immediately. The determination of how to proceed with your workers’ compensation claim can have important implications for you chances to recover compensation sooner rather than later. Unfortunately, far too many people who have a legitimate workers’ compensation claim experience delays, denials and other problems in the management of their case. 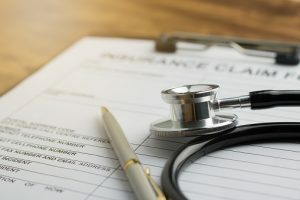 Not taking the required medical test when a physician states that upon review of the case the injuries sustained in the accident are not work related. Medical information and the accident report have not been included in the workers’ compensation claim. Form submitted to workers’ compensation were not completed the right way. If the injury was not reported in a timely manner. It is still possible to correct these issues even if your workers’ compensation claim was initially denied. The most important thing you can do is to retain an experienced workers’ compensation lawyer in San Francisco right away. Your workers’ compensation attorney will help you to correct any of the outstanding issues on your application so that you can fight to receive the benefits you deserve. The sooner that you retain an experienced attorney, the easier it will be for you to get the compensation that you need to be able to put this incident behind you and focus on getting better and healing.